Once upon a time there was a beautiful bird. He wanted to be a musical actor. He parroted his favorite movies and sung show tunes at auditions. He learned to ruffle his feathers and sing high notes. Flailing his wings to show off his bright colors while spinning during an audition. He spun so fast he took off flying and dazzled the casting directors. They booked him as an action star. He could sing and dance to his own beat. However, he struggled to learn his lines. The beautiful song bird would repeat the wrong lines, and could never get the scenes straight. He was so charming though they hired him as an extra after firing him. The struggle with parrots is they tend to repeat what you say. So, his claim to fame is being a mascot in romantic comedies. 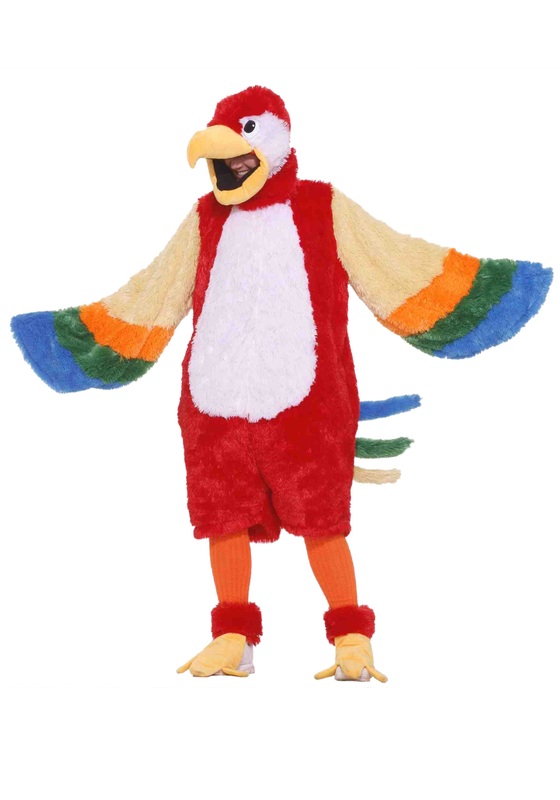 You can be just as charming as him in this Parrot Mascot Costume. Slick back your feathers and show of your true colors. The faux fur suit is knee-length with a front zipper. The body also has side-seam pockets to hold treats in case you need a snack. 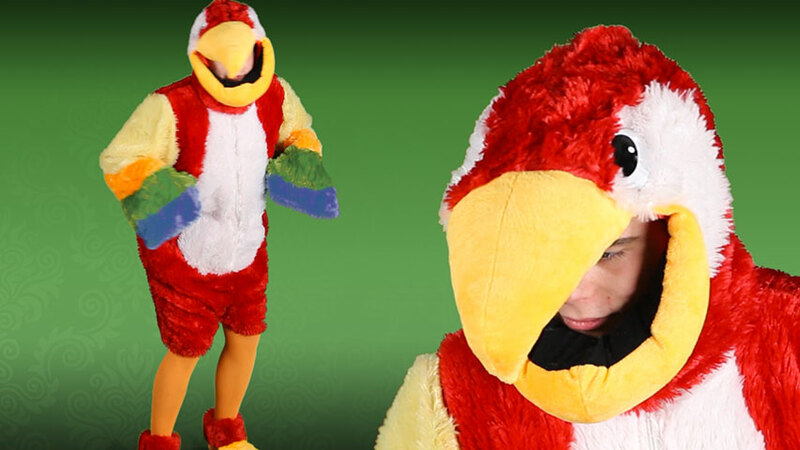 The hood has a stuffed beak that you can see out of, and plastic eyes. Cover your tap shoes and dance the night away with shoe covers that fasten with Velcro. Go ahead and shake your tail feather, be a star.